I have never been a fan of early voting, but after last night's debacle in Montana I am dead set against it. "After asking Jacobs to lower the recorder, Jacobs declined. Greg then attempted to grab the phone that was pushed in his face. 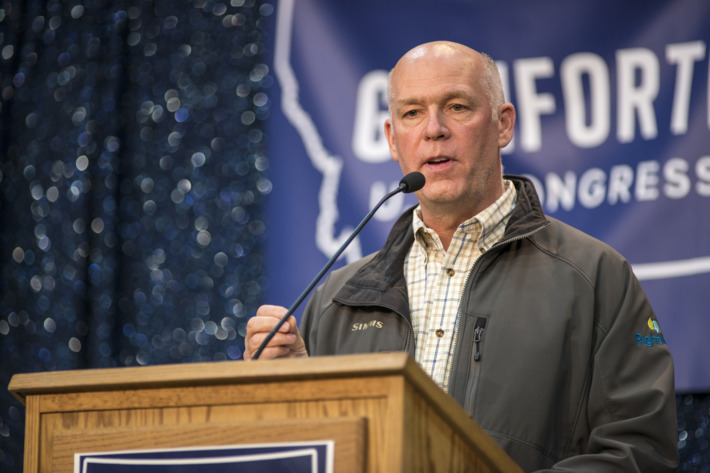 Jacobs grabbed Greg's wrist, and spun away from Greg, pushing them both to the ground," Gianforte spokesperson Shane Scanlon said. "It's unfortunate that this aggressive behavior from a liberal journalist created this scene at our campaign volunteer BBQ." Unfortunately for Gianforte, Jacobs had an audio recording of the altercation and Fox News reporters were nearby waiting to interview Gianforte. 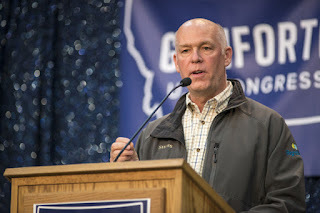 The recording and the Fox reporters contradicted Gianforte's "alternative facts" his campaign tried to spin, namely that Jacobs and not Gianforte instigated the incident. Gianforte has been charged with misdemeanor assault. As a result of the attack, several Montana newspapers immediately revoked their endorsement of Gianforte. But the wannabe thug will probably get elected to Congress despite widespread negative publicity the day before the election. Why? Because close to 70% of Montanans have already cast their ballot due to the state's liberal early voting laws. I am not against making voting easier. In fact, I am a strong supporter of vote centers, which would allow voters to cast ballots at any county voting location on Election Day. As far as early voting, that reform has not been shown to increase participation, but only changes when people who are going to vote cast their ballots. But the negative is that early voting results in people casting ballots long before the campaign narrative has played out It is like allowing jurors to cast votes in a trial before all the evidence is in. Well, in politics, all the evidence is not in until Election Day. Sadly 70% of Montana voters are stuck with a choice many of them now regret. Hopefully, the Gianforte experience will help put the brakes on early voting. Paul, check out "Democracy: The God that Failed". You might see that the "right" to vote at all is the flaw. I am not a proponent of early voting. This story is the perfect example "why". The liberal Democrats have pushed this idea for one reason... to get as many votes in before the campaigning is over and in case any embarrassing details "surprisingly come out" about a candidate in the waning campaign days. Think Hillary Rodham Clinton. Now it may have backfired on the Montana Democrat who lost. It's almost like a lot of Republican voters don't know that Freedom of the Press is part of the Constitution they claim to love so much.